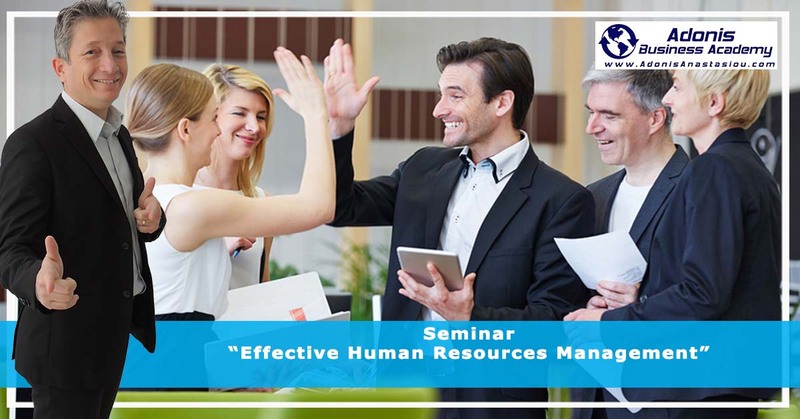 The course is aimed at people in the HR sector and at all managerial and supervisory staff who want to know and apply the essential parameters and functions required by the administration of human resources. The trainees will learn the important functions of HR and the management procedures such as the determination of work tasks, job posting, interviewing, recruitment, training, handling employees’ disputes and employee assessment. This training will also help existing HR managers to enrich their knowledge and skills on the subject. • To know the characteristics of effective human resource managers. • To apply the parameters of effective human resources management. • To define the job duties and hiring criteria per job. • Use appropriate means for posting the job vacancies. • To conduct interviews and hire the right people. • To undertake an analysis of training needs and to organize training programs. • To motivate employees to high yields. • To bring fair systems for proper employee assessment based on their performance. • For those wishing lunch there is an additional cost of €30+V.A.T. • Self-employed and government officials are not eligible for the subsidy but we have a special offer for them from €333 to €195 +V.A.T. • Unemployed are allowed one free seminar if the bring the permit from the office where they register as unemployed.